Toast producer Rob Oliver compares the relative merits of the Epic and Scarlet cameras from RED. Get blog updates sent to your inbox by subscribing to our RSS feed in the top right hand corner of the blog. Or join us on Twitter and Facebook for links to our latest posts, industry news, tips and analysis. The Epic and the Scarlet are both made by RED and share the same 5K Super-35 sensors. Both cameras share much of the same components and both have the same solid-state drives however they vary on abilities. The main difference is that the Epic will shoot up to 300 fps at 2K whereas the Scarlet will a maximum of 60fps at 2K. The Epic’s high speed function is a big plus but if you have a multi-camera production and need to shoot some slo-mo then you should consider the Scarlett as a good B camera option led by an Epic. Both cameras are well matched, both capable of shooting up to 30fps at 4K. 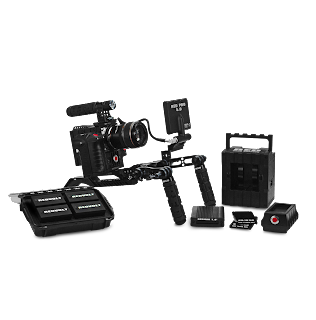 With the introduction of low-cost Super-35 cameras like the Canon C300 and the Sony F3, the Scarlett has been designed to directly compete on this level. But it also has the option of using DSLR zoom and prime lenses with the use of the correct mount. This is brilliant news for low budget productions who previously would not be able to afford the premium RED cameras. If you don’t need slo-mo then shoot on the Scarlet or if you have multi camera shoot then consider a combination of the two cameras. And just so you know the difference – the Epic body is Black and the Scarlet’s is grey.